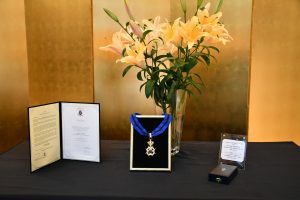 We are pleased to announce that Yoshihiro Hasegawa, the President of Harima Chemicals Group was awarded Commander of the Order of Leopold II by King Philippe of Belgium. 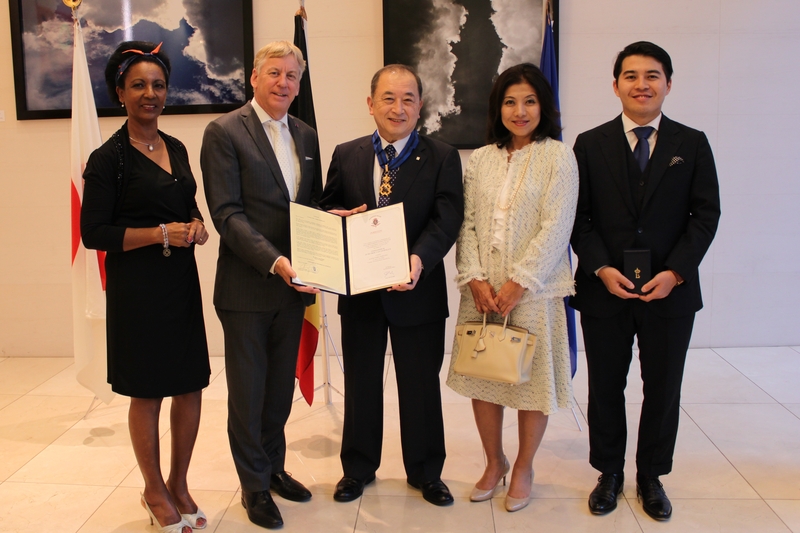 The awards ceremony was held at the Belgium Embassy in Tokyo on June 12, where President Hasegawa received the honor from Ambassador of Belgium to Japan Gunther Sleeuwagen. Harima Chemicals Group operates its flagship plant, LAWTER-Kallo, in the Antwerp region in Belgium. Since its launching in 1996, the manufacturing process has been continuously modernized and in 2015, dedicated tanks to store tall oil rosin transported from SunPine AB of Sweden were added to ramp up production capacity. The award was bestowed in recognition of the fact that the group has contributed to stabilizing employment and expanding the chemical industry in the country over the years. Encouraged by the honor, we will continue plant operations that give utmost consideration to safety and the environment in a bid to contribute to bolstering economic ties with the Kingdom of Belgium further. *1) Acronym for Alternative Materials for Bio-based Resins. A research project to make use of glutamic acid derived from biodiesel conducted from 2014 to 2016. *2) LAWTER is still participating in the academic-industrial collaboration project in Belgium.